We created a second mobile site for Baylor College of Medicine /Texas Children’s Hospital designed to gather symptom frequency and distress during bone marrow transplant recovery. 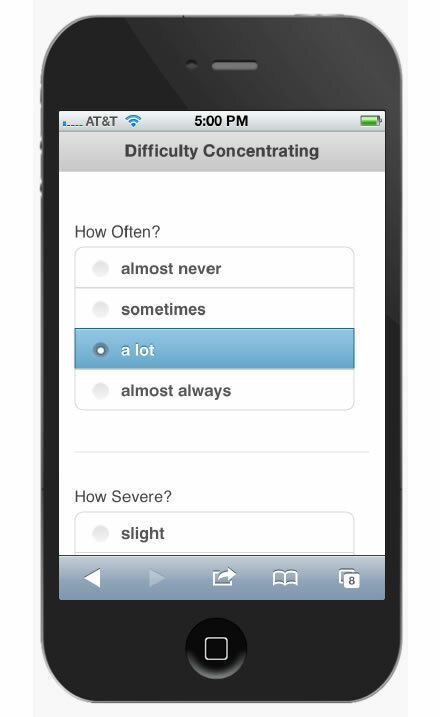 The mobile based site can gather symptom information as it occurs, while being convenient for the patients. This entry was posted in mobile, research, website by Britt Carr. Bookmark the permalink.